On the battlefield, the discovery of a dog tag is always an exciting find. It is a unique trace of a human being more so than an impersonal piece of military equipment. 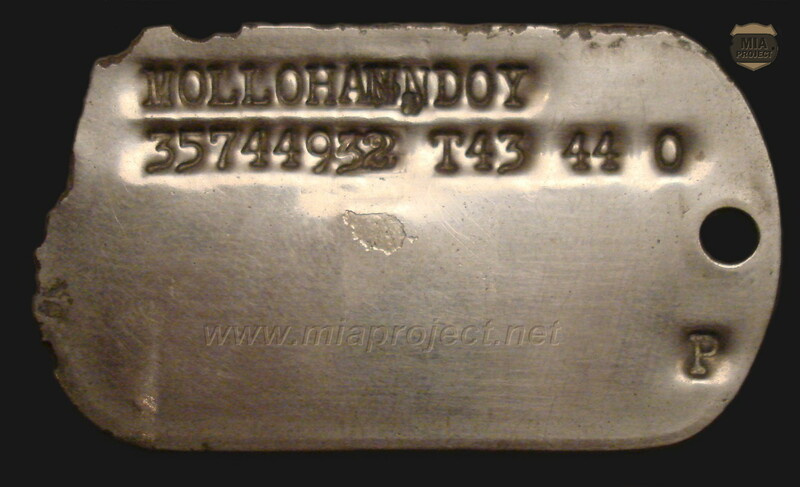 Such a discovery leads to a no less exiting search for the original owner and an effort to learn more about his wartime experience. 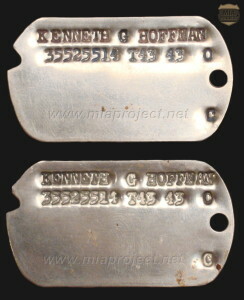 If the recovery of a dog tag is infrequent, several together is unique. In the vicinity of the former command post of Third Battalion, 393rd Infantry Regiment, Speder unearthed a batch of sixteen dog tags near a two-man foxhole. This unique find consisted of five pairs and six singles, eleven men total. The collection included a mix of early five-line tags made of Monel and late two-line tags made of stainless steel. Though a breathtaking surprise, the real surprise lay in the history behind the artifacts. The first element discovered was in the team’s data base. The eleven men were all listed as belonging to the same company. Company K, 393rd Infantry. Co K was hit pretty hard in the first hours of the Battle of the Bulge and those dogtags were thought to be from men killed or wounded in action. This proved totally false. 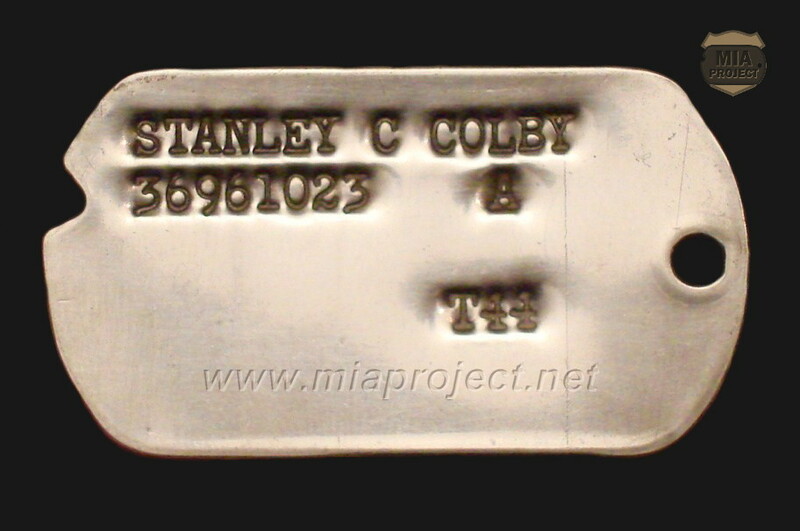 Many survivors of the company were also members of the 99th Infantry Division Association, they uncovered the first elements of the mystery. Only two men were killed in action. The 24-year-old jeep driver from Reinersville, Ohio, was critically wounded during the massive artillery barrage on the first morning of the battle. The Germans captured him and evacuated him to Kloster Steinfeld, a monastery converted to a field hospital. He died from his wounds on February 16, 1945. His body, initially buried in the American plot at a nearby German cemetery, was transferred to the US Cemetery at Neuville en Condroz, Belgium. 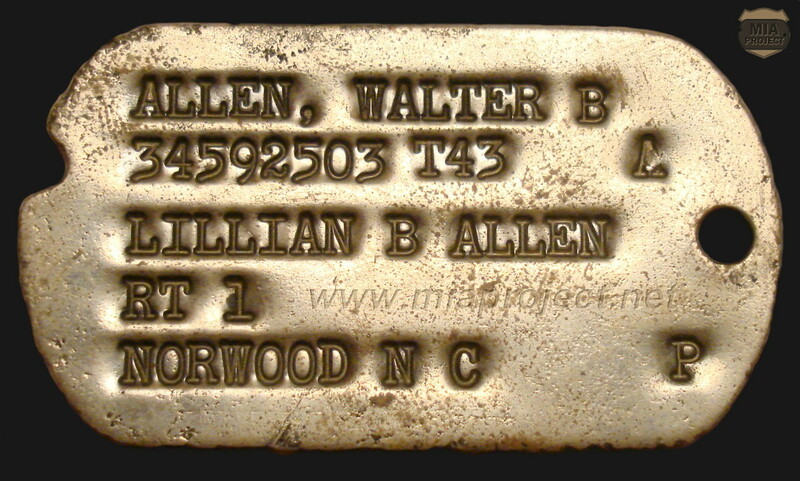 He was interred as unknown soldier X-2432 until the Army established positive identification in 1949. 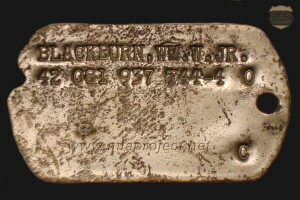 After the war, his family had his remains repatriated to the States and laid to rest at Wyers Cemetery in Athens, Ohio. 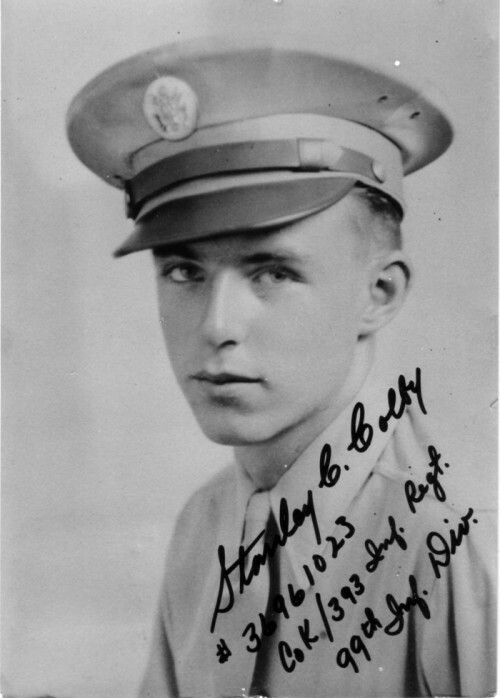 Squad leader in the Second Platoon, he was killed during the attack on Waldbreitbach, Germany, on March 24, 1945. His next-of-kin had his remains repatriated and buried in Townsend, Delaware. All the other servicemen survived the war in many different ways. 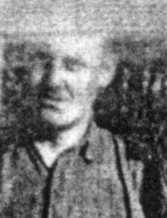 SCR300 radio operator in the Third Platoon, he was fortunate to avoid captivity and was among the very few of his company to escape. He was slightly wounded by shell fragments on December 18 and evacuated due to severe trench foot. He lives today in Norman, Oklahoma. 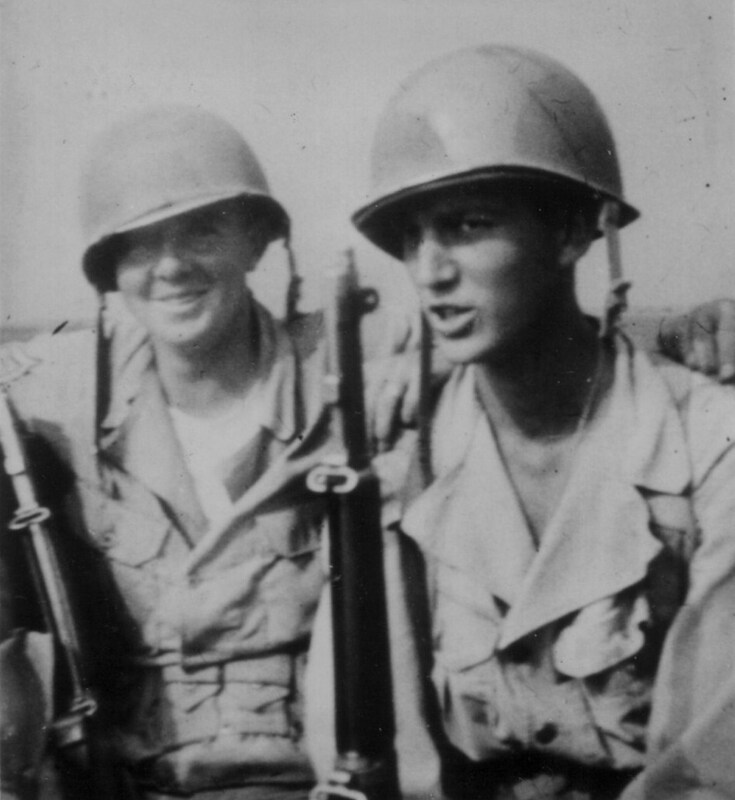 Born the 4th of July 1922, Hoffman was one of the few members of his company to withdraw. Like his friend Price, he was wounded in Krinkelt two days later and evacuated. He never returned to the company. Ken and his wife Lucy lived in Massillon, Ohio. He passed away on November 1, 1998. 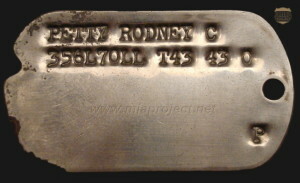 His name appears in a Morning Report dated December 5, 1944, and the report lists him as WIA (wounded in action). He never returned to the company. Walter Allen today lives in Norwood, North Carolina, and has never replied letters. Louisina manoeuvers 1944. 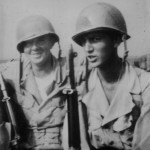 John E; Fontenot (right) with Sgt John Rodgers. 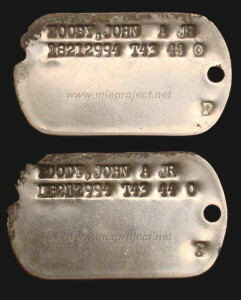 John was born on November 2, 1924 and raised on his parent’s farm in Washington, Louisiana. 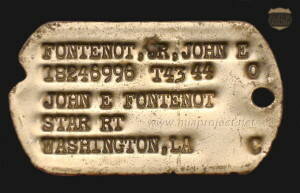 After his graduation at Grand Prairie High School in 1941, John entered Louisiana State University (LSU) in agriculture engineering as part of the ROTC program. After the Japanese attack on Pearl Harbor, John was inducted and joined Company K of the 393rd Infantry. He acted as first scout in the Third Squad of 2Lt Joseph Dougherty’s First Platoon until he was evacuated with trench foot just before the battle began. He never returned to the company. After his discharge, he came back home and started his career as a third generation farmer. He earned the nickname of « Potato Man ». During his 70 years of farming, he made invaluable contributions to the agriculture industry and received many honors and awards. John Earl Fontenot, Jr passed away on August 26, 2015 at age 90. Rifleman in 2Lt Herman Dickman’s Second Platoon, Colby’s squad was overwelmed by the German assault and pulled back to the platoon CP area. Surrounded, they all surrendered in the afternoon of the first day. His captivity ended on April 28, 1945. 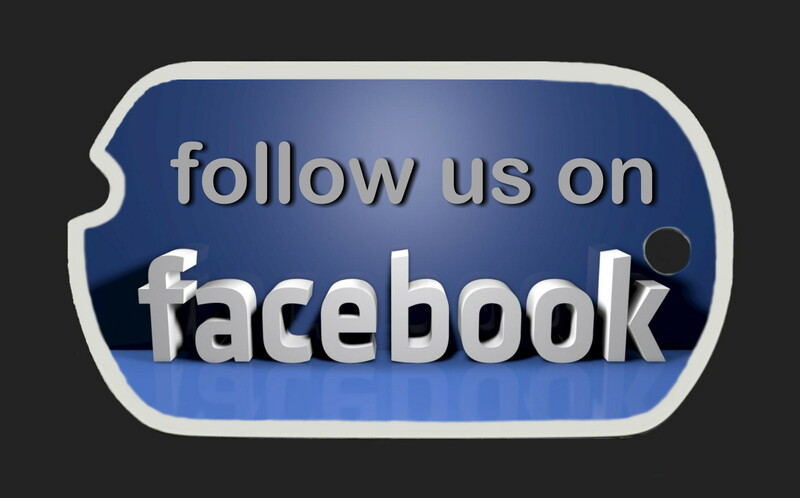 Stan and his wife Gloria live today in Palmetto, Florida. Doy Mollohan was a member of the 99th Division Association but was reluctant to talk about his military service. He was automatic rifleman and was captured on December 16, 1944. He passed away in Chloe, West Virginia, on May 26, 1999. Injured in a car accident while at Camp Maxey, Texas, Depalma didn’t follow the 99th Infantry Division overseas. 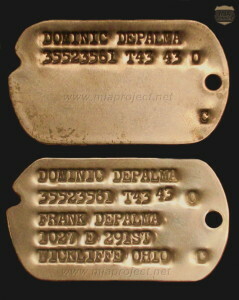 He was attached to the PX at Camp Miles Standish, Boston, Massachusetts, and never left the States anytime in his life! He died on February 17, 2005 at 82 in Wickliffe, Ohio. 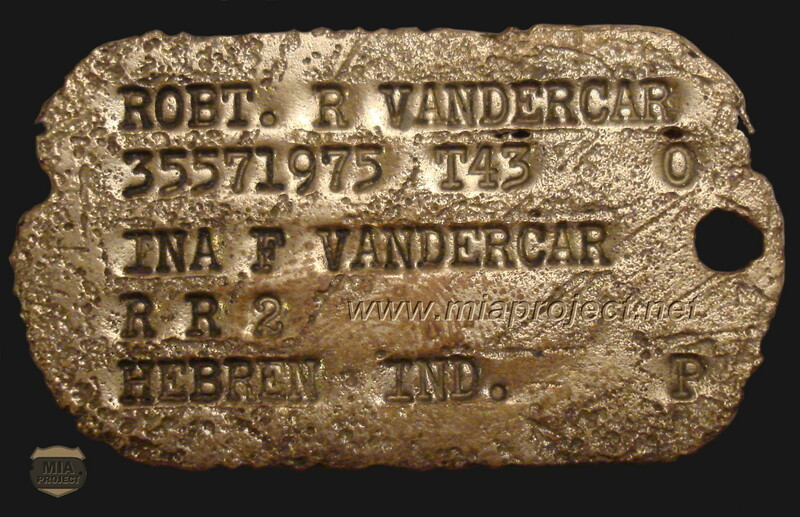 Strangely enough, Bob Vandercar’s story is similar to DePalma’s. A few days before going overseas, he was hospitalized and missed the departure of his division for Europe. After his release from the hospital, he was transfered to G company, 314th Infantry Regt, 79th Infantry Division and went overseas with that division. He was shot in the leg and taken prisoner on January 19, 1945 in the attack of Drusenheim, Germany. He spent the remainder of the war in Stalag 5a in Ludwigsburg, Würtemberg, Germany, and was liberated on May 10, 1945. 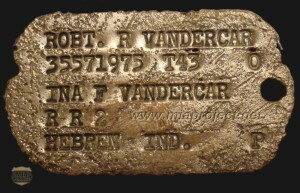 Vandercar has never set a foot in Belgium. He died on August 14, 2008 at age eighty-six in Crown Point, Lake County, Indiana. 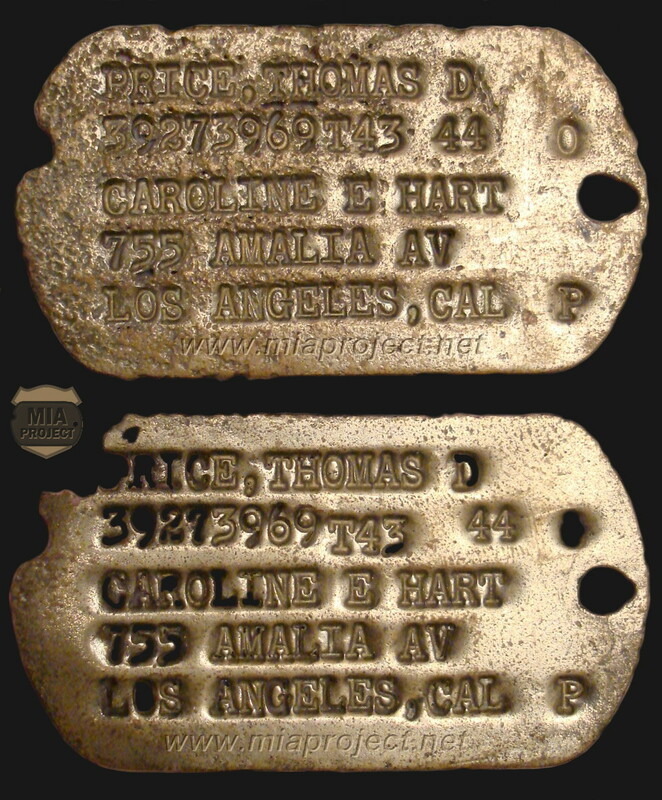 Given the different stories of the soldiers and the place of the discovery, it is safe to assume the dog tags were extras and probably in possession of a clerk before the battle started, maybe even before going overseas. 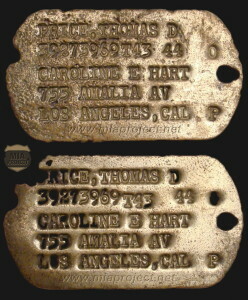 When the Third Battalion hastily withdrew from the forest on December 17th, the dog tags were probably lost or discarded.